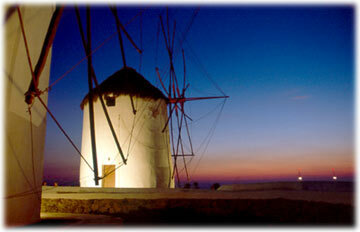 The windmill is a symbol of Mykonos. They can be seen everywhere. Once used to grind grain and wheat, some are now used as renovated residents. Some such as the Bonis mill now house a museum. They are pure-white, circular with a conical wooden roof. Just look at the skyline and you are sure to spot one. One of the most magical things of Mykonos is the island’s mascot, a pelican. It wanders through all the neighborhoods of Hora but seems to prefer the harbour and Alevkantra. Beloved and protected by all it is fed by children and adults and photographed by tourists.